Heavy flooding in Laos this past summer was photographed by an astronaut aboard the International Space Station using a Nikon D4 with a 1150mm lens. 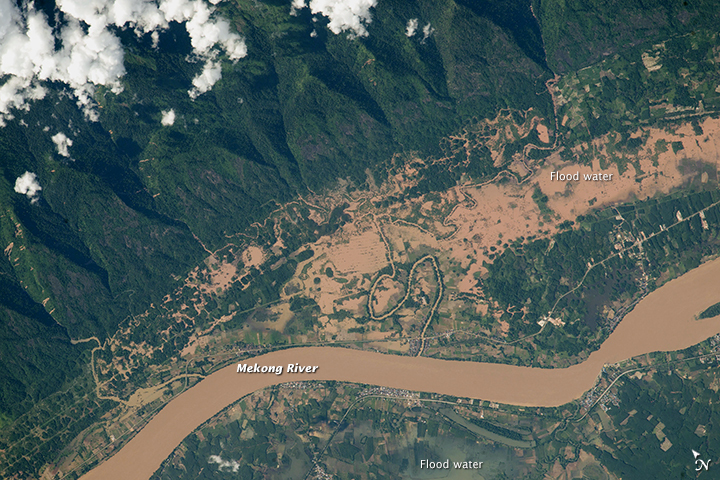 Thousands of acres were flooded throughout Laos. This photo is of Ban Pakthoay, Bolikhamsai.